SEPTEMBER 11: Deadly attack on the US by Bin Laden. The US president Barack Obama has gone on television to confirm that America's number one enemy, Osama bin Laden, has been killed by CIA operatives. In his address a few minutes ago, Obama said he was told a week ago bin Laden had been found in Pakistan and he gave his permission for an attack to be made. He said the operation involved a fire fight, they killed Osama bin Laden and took custody ofhis body. He said "justice has been done." CNN was first with the news about an hour ago that bin Laden, was dead. The news agency said the US administration was positive the terrorist leader had been killed, which is why Obama was going public with the information. CNN said the terrorist leader who the US has been hunting for a decade, was killed in a mansion outside the Pakstian capital of Islamabad along with other family members, including an adult son. Obama didn't say anything about the other deaths only that US operatives had confirmed it was definitely bin Laden. For years, it had been thought the al Qaeda leader was living in caves and remote, border areas in Pakistan, moving constantly with several doubles to protect him. Thousands of Americans are outside the White House, jubilant at the news as questions arise about just how much Pakistan knew about bin Laden being in Islamabad. What about Fiji's own terrorist and bomb maker. Lets hope he's the next to go 2011 along with his side kick bananarama. It's a sad day for Humankind when we celebrate the death of someone, no matter who it is. But such is life I guess, though I don't know what happened to forgiveness. The American CIA, sanctioned by the American Government, trained this man to fight the Russians and Saddam Hussein in 2 other wars. The Twin Tower attack by Al Qaeda was a tragedy, but whether the American Government and its Security Organisations knew of a pending attack, remains questionable. Global Terrorism may actually highlight mankind's inability to resolve differing issues between peoples and the various Governments unwillingness to resolve them for the sake of oil and other resources. I can't rejoice in this man's death, but prefer to ponder mans inhumanity to man, that we would allow our Governments to use people to suit our own purposes. One day JUSTICE will come and Bai and all his goons will retire to Naboro. How can be proof that Osama is really dead without an actual photograft. I believe this is not the first time the US has declared that Osama is dead. 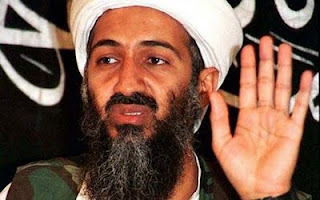 Should we believe that bin Laden is really dead...hell no!! Frank Bainimarama next with his clons hari Punja, Tappoopoos and Frank's Gay friends. One toma hawk should do the job off an aussie Navy ship off fiji. Mr Mark Manning @5.27pm ... You can't have it both ways. Once the enemy is declared there's no going back or half measures. And so it is in some ways with Fiji and the coup masters. bhaini-gaddafi and his parsites next!!! One thing is clear. Muslims n Pakis in particular cannot be trusted. Pakistan took aid from US to fight terrorand Bin Laden but actually was protecting and hiding this terrorist. Same here with Aiyaaaarse n his molvis - full of contradictions. Aiyaaars preaches Islam and get a woman pregnant before marriage and then does nikkah - what if the child is a girl. Means iyaaars married his own daughter. Wake thers and sisters. FB has moved up one notch on the most wanted list I guess. Is Shalveen Chand the blogs author?? Wailei.....Osama Bin Laden died ages ago!!!! all religions - all life is sacred. He wasn't God - neither was he Gods messenger - he was just another mass murderer. Goes to show ...in the end they will all die. Watch Out Baini ...your turn will come - either by murder, sickness, guilt or Dakuwaqa himself will rescue Fiji from you. obliterate scumbag dictators and terrorists - it's that simple? Croz you and the parasites Gates and Pryde would agree, WOULDN'T YOU? I doubt the authenticity of the news- not a shred of evidence offered to the world to prove that its really Osama who was killed! Framed? Propaganda? To bring to a closure the open ended war against an "invisible" enemy? The US framed this operation to "save face" against an operation that has lost its plot from day one! Don't believe everything the US media and the president tell you! Wait till Osama's next video appearance - one where he adamantly denies rumours of his demise - talks knowingly about what really happened - how they assaulted a compound in Pakistan where they thought he was but wasn't - how they martyred innocent people in a failed attempt to martyr him. No official photograph of the dead Osama, no official photograph of his burial at sea, I smell a rat. US govt just as guilty as Osama bin Laden for murder of innocent civilians the world over- Hiroshima, Nagasaki, Vietnam, Laos, Afghan, Iraq, you name, anywhere on earth US has carried out operation in the name of "democracy", peace, anti-communism, etc it has killed off more innocent civilians. So the US can not be absolved from its own guilt and sins as the biggest terrorist and bully in the world. And its own media is being exploited to air only the staged operation. Until we see footage of the dead face of osama, I shall remain doubtful of this operation. Maybe US was jealous it had nothing to celebrate for a long time, so it staged this operation just to divert attention from royal wedding in UK to its own staged"successful" operation? Don't be gullible to US media just as to the regime in Fiji. No steel structure has collapsed from fire, but on the 11th. 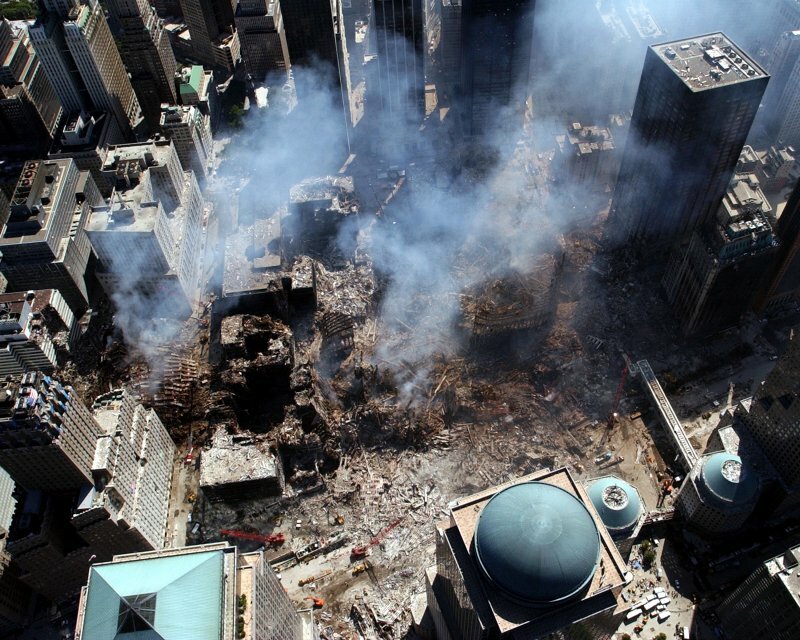 of September 2001, 3 steel structured buildings did, though only 2 were hit by planes. No explanation about building 7 though. In my view, it's the inability of the public of many Governments, to see threw the lies of its own Government. That is the tragedy here, not Osama Bin Laden's death. See previous posting - wait for his live video? Due any day now. Please don't attempt to justify or nullify that there are some entities out there that are truly evil - demonic, if you like. The world is NOT missing the likes or attributes of Hitler nor Bin Laden. Alliances have changed all throughout time and history. It is the nature of things. Has nothing to do with the issue here. Bin Laden was a monster and I believe the world will rest easier knowing that he is at the bottom of the sea. In fact, isn't that where God will put Satan in the final struggle (triumph)? Looks like he will have company! One down another 3 to go..we have to rid this world of dictators and their allies..mastermind Aiyaz and Baini voreqe is next on the list..you can ride but you cant hide..we are monitoring all your moves and speeches..This is a very small world.. I'm not answerable to you or anyone else. You are a naive individual if you believe everything the American Government says. Haven't you heard of Pearl Harbour and the imminent Japanese attack. Funny how all the Aircraft Carriers, which finally won the War in the Pacific, were out to see that day ! I don't doubt for a moment that the American President knew of the imminent attack against the Twin Towers and the Pentagon etc. Anyone seen Osama's latest video? That piece 9:13 - not like u - very strange - weird? It's not been released yet ! I'm not 100% behind everything the Americans do, never have been, but neither am I 100% behind what the Australian Governments do. I try to remain objective and open minded. The truth is, none of us know the truth, be it the 9/11, the Dismissal of Gough Whitlam in 1975 and now, the summary execution of Osama Bin Laden. While I don't doubt that he has been killed, I question why it has been publicised, knowing there will inevitably be a backlash and why he wasn't taken alive, especially now, since 24 hours ago, we are being told that he wasn't hiding behind his wife and nor was he armed. Given that he was trained by the Americans to fight the Russians in Afghanistan and Saddam Hussein in Iraq, one should be asking, was he summarily executed yesterday to prevent him revealing things against the American Government ? Of all our governments, we all should be demanding the truth, that's always been my position. No man is above the Law, including International Law. If we accept murder from Legitimate Governments, Presidents, Prime Ministers and our other Leaders, then we can't demand others follow the Rule of Law. I don't know anymore than anyone else, the truth behind so many atrocities around the World over the past 70 or more years, but I reserve my right to question them. You might note, that within 12 hours, the white House changed it's story and I had already asked people not to celebrate the death of Osama Bin Laden. Now we must be asking ourselves, what is the truth behind his summary execution ! It's not his death that we must be lamenting, it's the possibility that yet another government of the united States has possibly been lying to the public. This is not the 1st. time this has happened and it won't be the last, but we must make our Leaders, Legitimate and otherwise, accountable to the people, not themselves. Thought the issue on this blog was the removal of Viti's illegal goverment - something you were once passionate about? Not OBL - White House? I and a lot of others did not celebrate this event in Pakistan - argued against the release of the photos - however when a mass murderer such as this who's objective was the death of others - something had to be done -that's not policy - thats human nature. End time for regime is fast approaching - given all you've contributed - be good if you were there too appreciate it? A return to Democracy for Fiji has always been the issue and remains so, true. I'm just putting out there that we shouldn't rejoice the death of another, under any circumstances, and that we should always be vigilant in regards to Law and Order issues, and demand it of our Governments.
" The cost of Liberty, is Eternal Vigilance " ! I didn't write that, an American or Englishman did. I remain passionate about Freedom and Democracy for all Fijians. I agree with you that the end is near for Frank and Co. if I have anything to do with it. I just hope that bloodshed and retaliation don't become the order of the day and that the Rule of Law remains Supreme on the demise of the Regime, other wise Fijians won't have learnt a thing ! I'm glad that you didn't rejoice, but we also are entitled to know why Osama bin laden, who knew so much, and was unarmed and didn't resist, was summarily executed in front of his Wife and child. After all, isn't that what Frank supposedly ordered of the 5 CRW Soldiers in 2000 and one of the things we have objected to throughout this struggle to return to Democratic Rule ? Death of bin Laden- justice? Nah, it was cold-blooded murder and revenge! I sometimes think Americans are the most gullible people on earth because of the power of the elite-controlled media on them. They were "patriotic" enough to vote Obama, a Muslim, into the WH. despite 9-11. With the next elections coming Nov 2012, and Obama ratings down for not achieving much, I guess he had to conspire with his aides and military advisers to "deliver"- Osama, dead or alive? What happened to all those thousand deaths Osama had died before? Now they are demonising Pakistan for harbouring the terrorist! But as the recent drama unfolded- US and Obama the judge, jury and chief executioner all in one! Anyway, I just hope when the time comes, Baini, Aiyarse, and co will go through the same trial his so called "enemies" are going through. Or will be fast like Osama's? Now Driti and Ului getting a taste of their own medico? Every dog has his day! Bai, Aiarse's coming! !